Jai Ramage Jai started her vocational training with a three year course in Musical Theatre and went on to appear in shows such as Cats, Fame and We Will Rock You, playing lead and ensemble roles. She has sung her way around the World and worked extensively in cabaret, gigs and recording sessions as lead vocalist and backing singer. Jai has toured with The Greg Lake Band as backing vocalist and has recently performed with Brian May and Kerry Ellis in ‘The Great British Songbook’ at The Shaw Theatre in Euston. She regularly spends her weekends singing lead vocals for a pop/rock covers band. After returning to studying, becoming a Certified Master Teacher in Estill Voice Training and gaining a Diploma in Music she formed www.VoicePractise.com from which she works as a freelance vocal coach for choirs, shows, groups and solo artists. Over the last 15 years she has taught all aspects of the industry, teaching courses and workshops at several vocational colleges including teaching private singing lessons on the Actors Course at Mountview Academy of Theatre Arts. 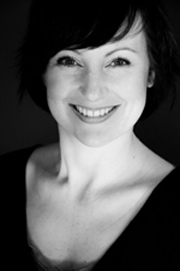 She currently teaches voice, performance and repertoire on the Musical Theatre Course at the Arts Educational School in Tring. Jai has recently set up a choir of exceptional female singers called Eden Voices, for which she acts as director and vocal coach. Eden Voices perform at weddings, sporting events and corporate functions. Jai is thrilled to be involved in such an exciting project as Sonnet 155 and to be working with Tim and his band!